Kela De Las Américas has been headquartered in Guadalajara (Jalisco) since 2013. Our strategy in Mexico is focused on delivering injectable pharmaceutical products, mainly to the beef farming sector, but also to dairy cattle businesses. The Mexican market is important to Kela as Mexico is the 8th meat producing country in the world. We work with distributors all over the country and the objective of Kela de las Américas is to expand further at the local level. To that extent we regularly participate in local events to increase our visibility and brand awareness. Our customers in Mexico are distributors who deliver pharmaceutical products to family owned farms as well as large integrated groups. While we have about 40 registrations in our portfolio, we mainly deliver injectable antibiotics and multivitamins, an anti-parasitic product and two anti-inflammatory products. We advocate the importance of local testing and regularly conduct field trials on a small scale. 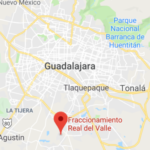 We have a contract with the University of Guadalajara to do local testing and we maintain a good relationship with the Asociación De Médicos Veterinarios Zootecnistas Especialistas en Bovinos from the State of Veracruz who also help us with local testing. Our goal is to become a recognized and respected player in the segment of injectable antibiotics and multivitamins for cattle in the Mexican market. Our sales team on the ground supports the promotion of our products with local distributors. Being in the market delivers valuable experience about how to earn local credibility as a European organisation. Kela aspires to be the reference in the field of responsible and efficient use of antibiotics, to the benefit of family farms and integrated groups.